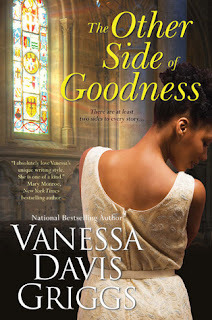 Hot Eats and Cool Reads: Book Review: The Other Side of Goodness by Vanessa Davis Griggs with a Giveaway!! Book Review: The Other Side of Goodness by Vanessa Davis Griggs with a Giveaway!! I received this book from a First Reads giveaway on Goodreads. I'm not typically a Christian Fiction reader, but the storyline sounded great, so I decided to enter and won! This book was such a fast read for me. I was so interested from the very beginning, I could not put it down!! Gabrielle was such an inspirational character. She had been through so much in her lifetime. 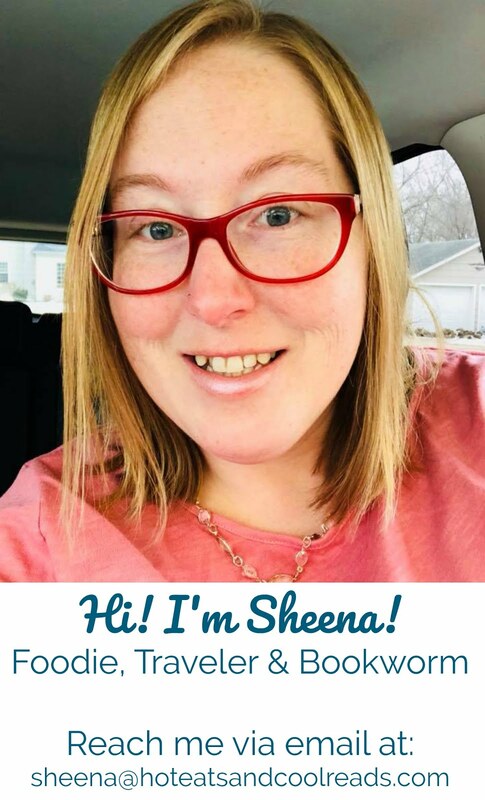 When the daughter she gave up for adoption 8 years ago ends up needing a bone marrow transplant, she tries to do whatever possible to get the biological father to get tested. Lawrence, the father, is a jerk politician who is up for re-election. If this comes out, it could hurt his campaign and he doesn't want his wife and kids to find out either. This book tells a wonderful story and shows how people's faith in God can bring them through some tough times no matter the outcome. The ending of this book is abrupt, so I assume there will be another in the series. I highly recommend this book and author and I cannot wait to check out some of her other books. After I read this, I discovered there is a book before this one with another part of Gabrielle's story that you'd want to read first. That book is called Goodness and Mercy. Check them out! Giveaway starts August 25, 2012 and ends September 1, 2012. The winner will be announced and emailed on September 2, 2012. One lucky reader will win a softcover copy of The Other Side of Goodness by Vanessa Davis Griggs. Winner will be chosen by Rafflecopter and notified by email. Winner has 48 hours to reply to my email, and if no reply is made within that time, Rafflecopter will choose another winner. This giveaway is open to United States residents only. If you have any questions, please contact me at hoteatsandcooloreads (at) gmail (dot) com. Thanks for entering! I've never read that book! I will have to read it with my daughter for the holidays! Dr Seuss is a favorite over here too! I love John Steinbeck and William Faulkner, plus Beverly Lewis' Amish stories. I don't think I've read any of their books! I will have to look them up! My sister loves Beverly Lewis! At the moment it is Aaron Bebo. Looks like my kind of author! I will have to add him to my to-read list! My favorite book is The Shell Seekers by Rosamunde Pilcher. Read it first probably 20 years ago, and reread it every few years. So good. Sounds good! I will have to check it out! I read a lot of different types of books...One of my favorite authors is Ann Rule - the last book I read of hers was Too Late to say Goodbye. Another author I love is Kathy Reichs and have read many of her books. I am reading Monday Mourning now. I love forensic books but I do read many others. I will have to look them up! I don't have any of them on my to-read list! We definitely have the same taste in books!